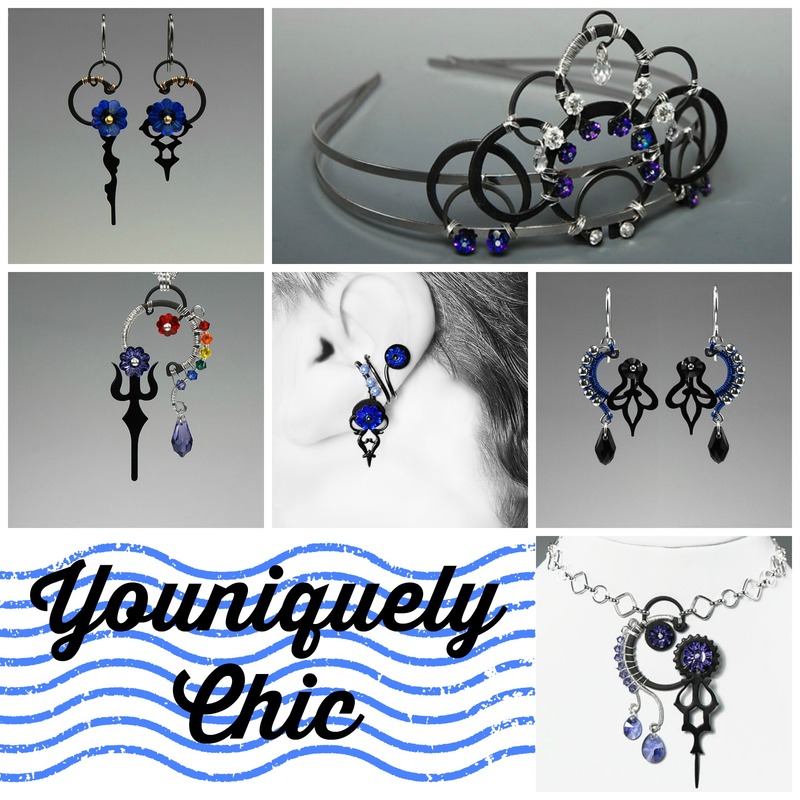 This week we are featuring Tara Wood of Youniquely Chic! Tara makes stunning wire wrapped assemblage pieces that invoke whimsy and industrial beauty. Check out her story and her work! 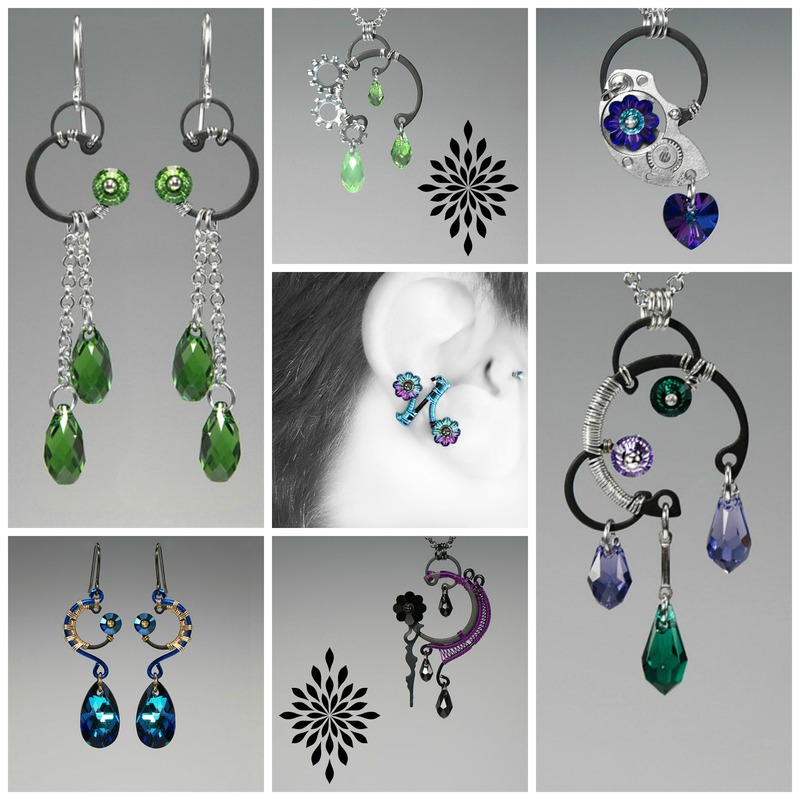 “My name is Tara and I am a full time designer with a passion for creating unique jewelry. My satisfaction comes from creating a beautiful piece of work and sharing it with everyone. I have always been drawn to cut crystal, the way the light refracts and paints rainbows on surrounding surfaces fascinates me, so it is only to be expected that all of my work would feature Swarovski crystals. I am 100% self taught, work alone, and I have honed my skills through years of trial and error. All of my jewelry pieces are carefully hand-crafted with precision, care and a touch of inspiration. I guess you could say that I am somewhat of a “Geek” and my designs are influenced by my love of space, science and fantasy. Learning to craft jewelry quickly became an avenue of sharing that love. You will see this influence again and again in the descriptions of my pieces… I have had many people comment on the fact that they enjoy browsing my shop because they can learn something about the object that inspired the piece they are looking at.